Contact us today for all enquiries on how you can become part of the SMS action. We will be happy to help your team, your school, your organisation or just yourself, to become the best you can be. Enquire about our training programs and camps today. 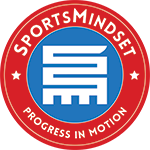 SportsMindset was created to combine the sporting world with the world of fitness; to instil healthy habits and use the competitive drive in all of us to build a strong-minded mentality. Traditional fitness training targets the development of fitness—endurance, strength, and flexibility, attempting to build better looking bodies from the outside. We took it a step further.